Elissa Slotkin, principal deputy assistant defense secretary for international security affairs, will be nominated as assistant secretary of the same office within the Defense Department, the White House announced Thursday. 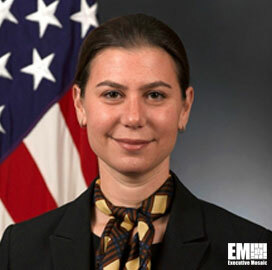 Slotkin has held her current role since 2012 and manages policy development for the Middle East, Africa, Russia, Europe and NATO regions alongside her additional duties as principal deputy undersecretary of defense for policy. She previously served as chief of staff to the assistant defense secretary for international security affairs, senior adviser on the Middle East transition at DoD and senior adviser on Iraq policy at the State Department. As director for Iraq on the National Security Council, Slotkin has helped draft the Status of Forces Agreement between the U.S. and the Mideast country. She also held positions at the Central Intelligence Agency and the Office of the Director of National Intelligence and worked on assignments for nonprofit organizations in international locations such as Israel, Kenya and Tanzania.